'Suryakantham', starring Niharika and Rahul Vijay, hit the screens this Friday. Here is our review of the rom-com. Abhi (Rahul Vijay) gets to meet Pooja (Perlene Besania) for an arranged marriage. They get along well before engagement, especially because the guy is Pooja's childhood crush. When their parents plan their wedding, Abhi unfolds a secret from his past. 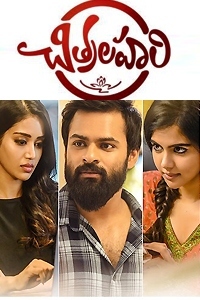 A few months ago, he had fallen in love with Suryakantham (Niharika Konidela), an outspoken and naughty girl brought up by a single mom (Suhasini). It went well between them until Suryakantham disappeared all of a sudden for a year. The rest of the story is about what happens when the unpredictable girl re-enters Abhi's life weeks after he starts liking Pooja. To be sure, this film has a glaring demerit. Too few characters. As a result, the audience is condemned by monotonous scenes blighted by unidimensional characters. This becomes obvious in the second half. Take the pre-climax moment, for example. There was space for two scenes involving comedians. Sensible comic situations would have added texture. Instead, the film rushes toward an ending which is expectedly clichéd. Rahul Vijay (whose debut movie 'Ee Maya Petemito' released last year) is a one-note actor. The emotions are too heavy-duty for him to handle. Forget him, even Niharika, who was able in the deep 'Oka Manasu', is found struggling to emote in this set-up. Surely, who is the director matters the most! If the performances are superficial, the situations come with an air of artificiality. The fate of Suhasini's character is an example. The writing comes with its share of passable sparks here and there. However, overall, the events themselves seem to happen as per a pre-decided template. Niharika's character is whimsical. She should have been portrayed in a better way but the film does away with nuances. Somewhere, she becomes Ninnu Kori's Nani before the proceedings are hurriedly wrapped up. The emotional bond between her and Abhi is halting. There are a couple of tender moments (the scene where she wants to see Pooja's photo, only to refuse next second), though. After a point, the other heroine's character loses sheen. She becomes largely passive. The film needed not only a few more characters but also a few more dialogues between the characters. Director Pranith gives it a web series feel, a demerit that affected films like 'Happy Wedding' in recent times. The technical departments do a pedestrian job. The tunes are inspired at best. The cinematography is sub par. 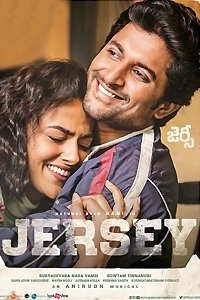 'Suryakantham' is a non-layered, familiar film where the characters seem off colour too soon. 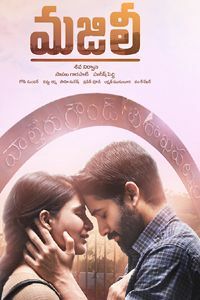 Predictable and clichéd, it lacks an emotional connect.